then, go to Firefox Options > General > Network Settings and check the box "Enable DNS over HTTPS". This will automatically throw two switches in about:config. In Firefox "Address bar" type: about:config Press Enter and click on "I accept the risk!" which will allow you to configure Firefox properly. you will be searching for and double clicking to change, "network.trr.mode" "network.trr.uri" "network.trr.bootstrapAddress" "esni.enabled"
Hard refresh your browser after the changes. CTRL + F5 to Hard Refresh. That's it! You should be able to browse the sites you used to be able to. ?Optional - Don't worry about DNSSEC, Make sure you pass "Secure DNS" and "Encrypted SNI". 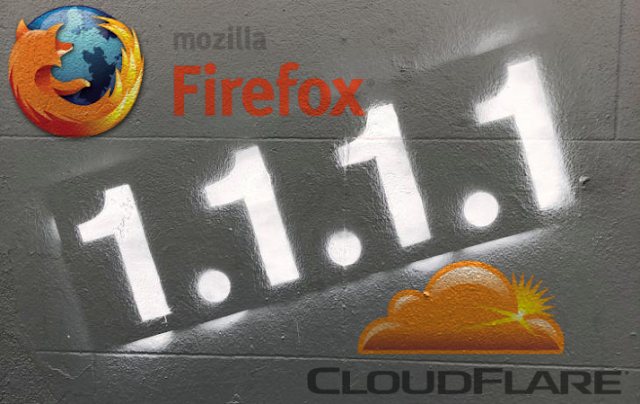 Firefox provides an optional resolver mechanism using a dedicated DNS-over-HTTPS server. DNS-over-HTTPS (DOH) allows DNS resolves with enhanced privacy, secure transfers and improved performance. Set `network.trr.mode` to 2 to make DNS Over HTTPS the browser's first choice but use regular DNS as a fallback (0 is "off by default", 1 lets Firefox pick whichever is faster, 3 for TRR only mode, 5 to explicitly turn it off). All prefs for TRR are under the "network.trr" hierarchy. Frank Denis has a dnscrypt-proxy (client proxy) that supports DoH.